Is China leveraging infrastructure loans to extract geo-strategic concessions from its debtors? In a short span of time, China has taken the lead in establishing an impressive array of international financial institutions to fuel its Belt and Road Initiative (BRI) – President Xi Jinping’s signature $8 trillion infrastructure investment plan spanning Asia, Europe and Africa. These include the Asian Infrastructure Investment Bank, the Silk Road Fund, the New Development Bank, and the Contingent Reserve Arrangement. Together, they represent an emerging counter-weight to the Western-led financial architecture piloted by the World Bank and International Monetary Fund (IMF), which has dominated the global economic order since the introduction of the Bretton Woods system following the Second World War. This should come as no surprise: as China positions itself as the champion of globalisation in the face of what observers diagnose as the intractable decline of American hegemony, it has begun to construct counter-hegemonic institutions that reflect its influence on the world stage. While the official intent of these new institutions is to complement rather than compete with existing international and regional financial entities, the glacial pace of global governance reform – which fails to reflect the relative influence of countries like China – has spurred their inception. There is also less trust in much of the developing world attached to the Western-led institutional financing model; criticism has long been levied upon a donor regime underscored by arrangements of conditionality. A study published in March by the Center for Global Development identified 23 countries involved in hosting BRI-funded projects that are at risk of debt distress, eight of which are assessed to be highly vulnerable. Furthermore, as China grows in size and developing economies become increasingly dependent on its markets and exports, there are signs that it is starting to infringe upon the sovereignty of its debtors by leveraging infrastructure financing into geopolitical purchase. And while it has looked to fill a $1.7 trillion annual infrastructure-funding gap (in Asia alone), is there sufficient reason to believe that Beijing is pursuing a development model that is mutually beneficial for all parties involved? Saddled with one of the highest debt-to-GDP ratios in the region, Sri Lanka offers a cautionary tale. 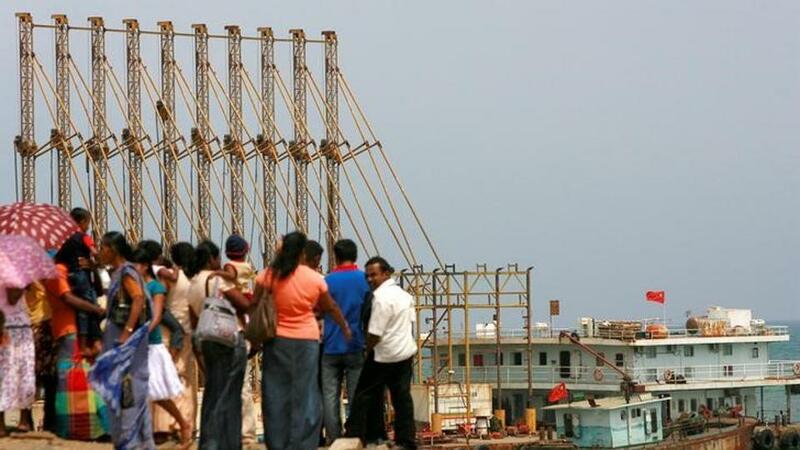 In 2010, its then-prime minister Mahinda Rajapaksa desperately sought funding for a port construction project in the underdeveloped fishing village of Hambantota, to which China invested $1.5 billion to build. Along with the Hambantota port investments, Beijing loaned Colombo $200mn for a second international airport and a year later an additional $810 million for the second phase of the port project. In 2013, $272mn was directed for a railway and over $1 billion for the Colombo Port City project. By 2015, Sri Lanka owed China $8 billion, and official estimates predicated that accumulated foreign debt would consume 94% of the country’s GDP. As Colombo’s debt swelled, the government agreed to sell an 85% share in Hambantota port to China Merchants Port Holdings Company for $1.12 billion. By December 2017, the port was formally handed over on a 99-year lease. 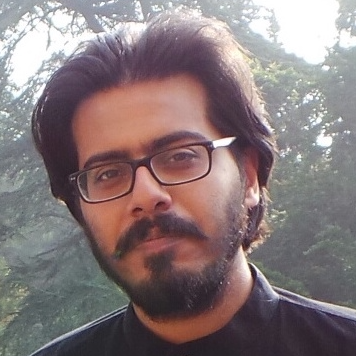 In Pakistan, there is the question of debt serviceability regarding the $55 billion pegged for the China-Pakistan Economic Corridor (CPEC), which aims to connect Balochistan’s Gwadar Port on the Arabian Sea with Kashgar in Western China. Given Pakistan’s rising debt levels, drop in export earnings, and a widening current-account deficit, its ability to finance $90 billion in repayments will be a challenge. The government’s withdrawal of its request to include the $14 billion Diamer-Bhasha Dam in the CPEC citing Beijing’s strict monetary conditions, adds further cause for concern. Sovereignty over Gwadar, the centrepiece of the CPEC and immensely strategic given its access to the Straits of Hormuz, is likely to be contested in the process. On the heels of the Donald Trump administration’s cuts to all security funding in Pakistan in January, Beijing revealed it would be building an offshore naval base near Gwadar. It becomes China’s second offshore military base, after opening its first in Djibouti. A geo-strategic approach is producing dividends in Europe too. Chinese firms now control almost one-tenth of all European port capacity, marching across the Mediterranean and snapping up acquisitions in Spain, Italy and Greece. Just this February, the state-backed shipping conglomerate COSCO finalised the takeover of the Zeebrugge terminal, Belgium’s second-largest port. The growing footprint of investments in cash-strapped Greece’s transport and energy sectors by various state-owned subsidiaries has already begun to pay off politically for Beijing. Its flagship project is the Mediterranean port of Piraeus, which it acquired in 2016 through a €368.5 million purchase and 67% controlling stake by COSCO. China intends to pin this as the BRI’s “dragon head” – the vanguard of its efforts to construct a cross-border corridor that would reduce transportation costs and speed up trade from China to the European market. Can a hegemon change its stripes? Buoyed by aggressive acquisitions that are redrawing the map of global trade and geopolitics, China’s hegemonic drive doesn’t require the gunboats of yesteryear. Rather, it can effectively wield sovereign debt to strong-arm states without the need to fire a bullet. Its approach is calculated toward the long game of assembling institutional power and alliances. This is explicit in the nature of their loans, which are collateralised by important natural assets with high-long term value, rather than by short-term commercial viability. This strategy can adversely affect nations that rely on returns to repay their loans, giving China enhanced leverage where it can force borrowers to swap debt for equity and further entrenching its global footprint. Is this then substantially different to what the US did during the post-war years, when it exported an ideology of industrial development that aligned with its economic and military interests? If Beijing’s ideology governing BRI – to sponsor infrastructure investments, facilitate economic development, promote cooperation and minimise conflict – were to be affirmed in its partnerships, then it will build a case for the superiority of its development model. In the same vein, for all the bluster of “win-win cooperation”, the reality of a burgeoning global power that seeks to shape the prevailing order to its interests shall come into conflict with its guiding discourses. There are also encouraging signs that China will draw lessons from and apply them to its lending practices. Moreover, calibrating the AIIB into a “knowledge bank” where best practices and technical knowledge are shared across countries could prove more effective than financing in the long run. The long game is something Beijing is cognisant of. 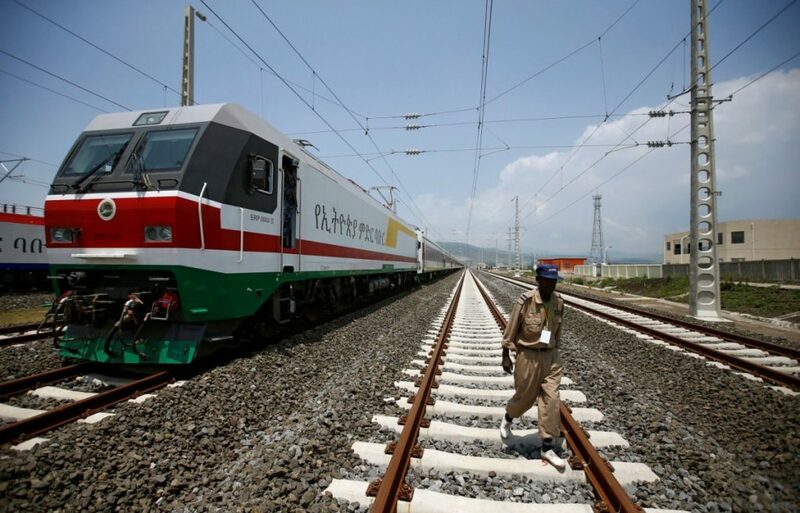 Take recent mega railways bankrolled by the Exim Bank of China: Addis Ababa-Djibouti Railway in October 2016 and Mombasa-Nairobi Standard Gauge Railway in May 2017. These two projects far from represent the full extent of China’s economic ambitions on the continent; rather, Chinese infrastructural investment is a stimulus behind deeper participation and cooperation on a broad range of economic engagements. It points to a long-term commitment than any scurried trading or contracting endeavours. This is borne out by McKinsey, which estimates over 10,000 Chinese firms operating across various sectors of the African economy, 90% of which are privately owned. Nearly a third are involved in manufacturing, a quarter in services, and around a fifth each in trade and in construction and real estate. In equal measure, it is important to understand the kind of aid developing countries require. Given the legacy of problematic loans bankrolled by the IMF and World Bank, it is reasonable to consider whether Chinese liquidity will add real value and build high-return projects. Its model of development should aim to strengthen weak institutions and poor governance of its developing partners, which are often greater obstacles to growth than a shortage of funds. If the “Chinese Dream” is truly within reach to everyone, the outcome of its BRI engagements will undoubtedly matter. Therein lies the challenge: will China promote investments that drive local economies through diversity and sustainability? Or will it simply serve its own interests, whether by absorbing excess domestic capacity and accumulating geo-strategic capital? 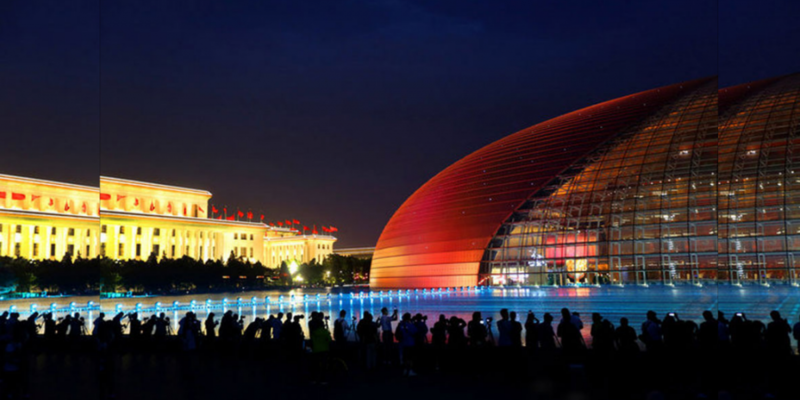 If it is the former, infrastructure-led developmentalism can become a universal export model for Beijing. If it is the latter, it won’t be long before Chinese patronage becomes viewed through a (neo) colonial lens, and its institutions as the Asian counterparts to the Bretton Woods regime.